Hearing aids can be expensive – so why would you want to power them with anything but the best? Medic Batteries offers a range of bulk hearing aid batteries, with the perfect Rayovac hearing aid batteries size for almost every hearing air on the market. Rayovac is a leader in hearing technologies, offering multiple hearing aid batteries size and style options. All of Medic’s Rayovac bulk hearing aid batteries featuring Zinc Air technology and are mercury free for safety. Rayovac Hearing Aid batteries are the #1 choice of Audiologists. 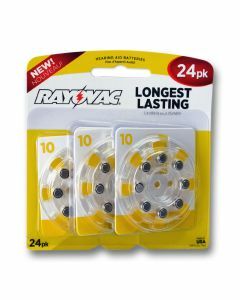 In fact, no hearing aid battery lasts longer than a Rayovac Hearing Aid Battery. The addition of Rayovac's “Air Management System” – which combines the air cathode, diffusion control element, and vent hole design – provides consistent air flow throughout battery life. The end result is a more consistent and better performing hearing aid battery every time you wear them. Note: Rayovac hearing aid batteries are sold in a variety of packaging under several names (Proline, Advanced Extra, Loud 'N Clear, Maximum, Ultra, etc.). 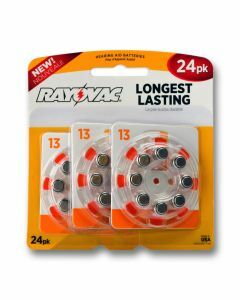 While packaging and style name may differ, the reliable quality remains in every Rayovac Hearing Aid Batteries size. These Rayovac hearing aid battery choices are made to the same tech specs, only the sub-brand name is different. Some are distributed to audiologists and hearing aid specialists while others are sold to chain stores and pharmacies. Rayovac zinc air hearing aid battery packs are made right here in the USA! 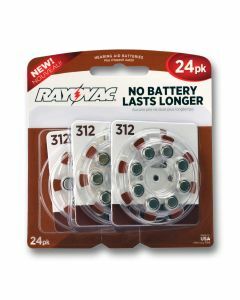 Choose Rayovac Hearing Aid batteries Size 10, 13, 312 and 675 from Medic Batteries and save! 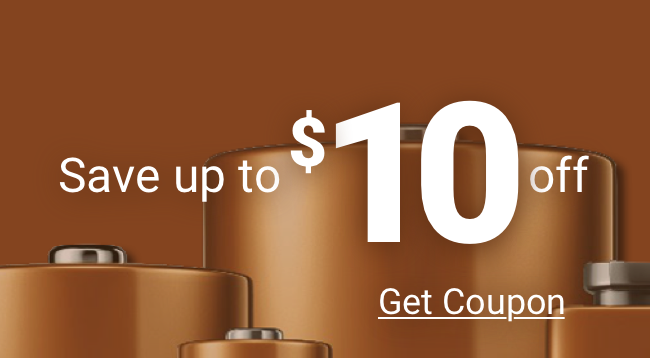 Medic Batteries is one of the largest online retailers of bulk hearing aid batteries, with discount pricing and fast shipping that saves you time and money. All of our Rayovac hearing aid batteries size options are stored in a safe and climate controlled environment according to manufacture suggestions to ensure the strongest and longest lasting charge is delivered to your door. 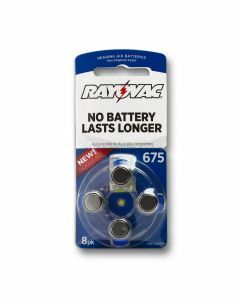 All Rayovac zinc air hearing aid battery packs ship free from our warehouse – and orders placed before 4PM EST ship same day! Rayovac uses digital imaging and 104 quality checks to test every battery to make sure you receive a powerful supply consistent with Rayovac zinc air hearing aid battery expectations every time. Add a battery checker to your order today to stay ahead of your battery power needs. Hear What Power Sounds Like – Order Your Rayovac Hearing Aid Batteries Size from Medic Today! For help placing an online order, speak with a member of our Customer Experience Team by calling (800) 479-6334.